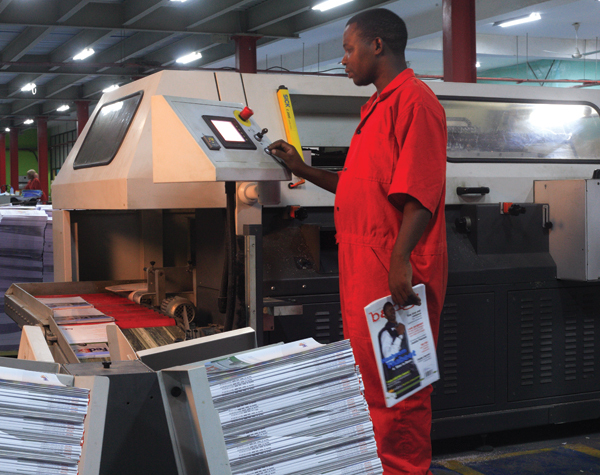 Our extensive binding and finishing plant includes a wide range of high-tech, automated equipment for book and magazine production. You can choose how you want your end-product to look from any of our binding and finishing options. Be it trimming, collating, perforating, folding, stitching, binding, lamination or packaging, we have it all. For that quality look, our finishing of your products includes online water-based coating, off-line UV (ultra-violet) varnishing, gloss and matt lamination. We also work with all major courier services to ship and deliver throughout Tanzania and abroad, handling multi-location deliveries.